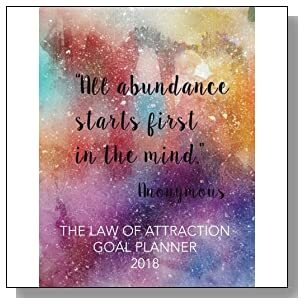 Law of Attraction Guide and How to Create a Vision Board! 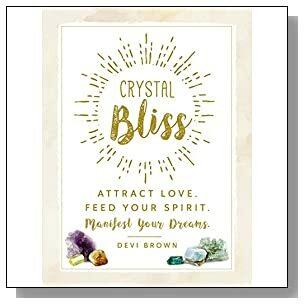 This Law of Attraction Guide includes How to Create a Vision Board! 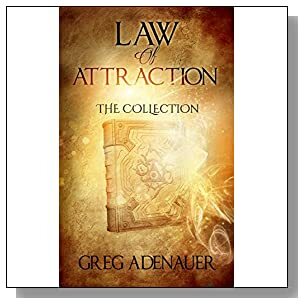 This law of attraction guide explains how this system of thinking and believing is an amazing way that you can take control of your life and bring into it what you want to have or to see happen. 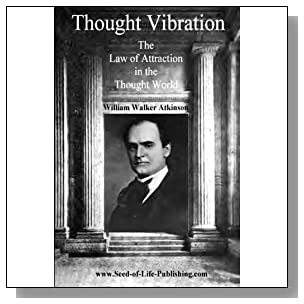 The Law of Attraction is a process which explains that what you think, feel, and believe all have an underlying energy. This energy gets projected out into the universe. Even if that energy isn't a positive one, it will still flow out into the universe. It's so vital that you you must try very hard to keep your energy positive. Because what you put out from you into the universe is what you get back. Negativity energy out really does cause negative things to flow toward you and you certainly don't want that. 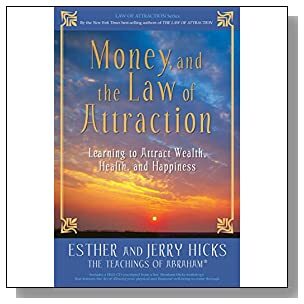 Since you are here reading this, you most likely have heard the basics about the Law of Attraction and how it works already, maybe you even saw or read "The Secret" which shows you in detail what it is and how it works. 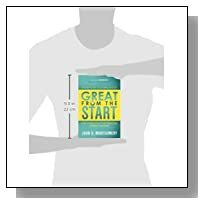 But more than likely, despite your first initial enthusiasm for the concept, all the good intentions soon went by the wayside and and without seeing any good results quickly, you end up wondering if its all just B.S. 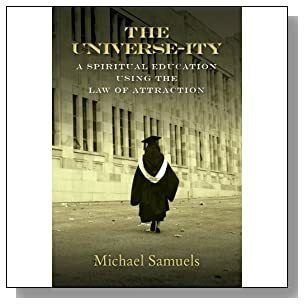 Well, there are enough people enjoying life changing success using the principles of the Law of Attraction to make it worth your while to have a really good look at it and start applying the success principles yourself. One of the important tools to getting what you want in life is learning to control how you think and what you think about. 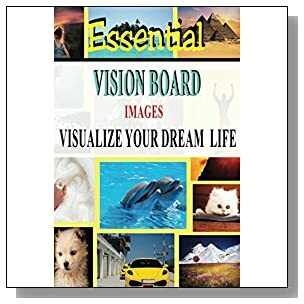 And the tool that best helps you to use your energy to focus on the positive things in life that you are dreaming about is to create a Vision Board, so I have included those instructions in here too. 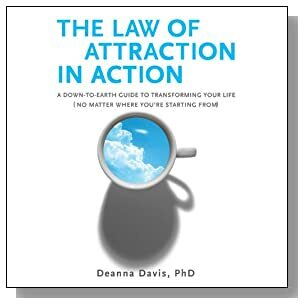 The Law of Attraction can change your life by bringing into your world what you want the most. 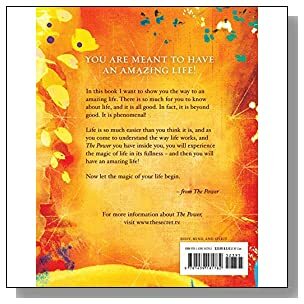 The LOA is not limited to one particular area of your life. So if you want better family relationships, you can have that. 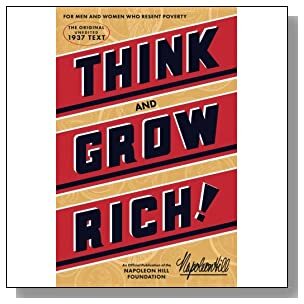 If you want to improve your life financially, you can do that too. Maybe you need better health or a better job. 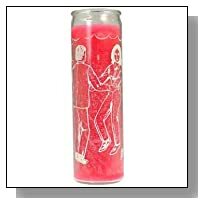 Perhaps you want to improve a romantic situation. The Law of Attraction can change of all that for you - but only if you know how it's meant to work. 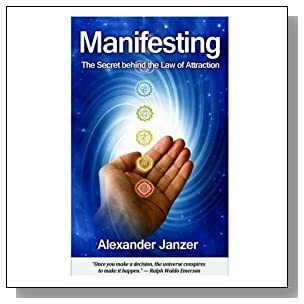 If you've ever heard the saying "You get out of something what you put into it," then you've just heard the meaning of the Law of Attraction described. What goes out into the Universe will always come back to you. That means that if you wake up in the morning and you're in a bad mood, you might act out of sorts and grumpy. You might head to work and discover that all of the commuters in the other cars are also grumpy. You arrive at work and find out that all of your colleagues are behaving with the same level of irritation. You talk to your boss and he almost bites your head off he's so grumpy. What just happened is that the LOA was giving back to you exactly what you put out. When you're in a bad mood, you often project those negative feelings out into the world. And because the Law of Attraction will attract the same thing that you put out, how you behave affects what's delivered to you. So if you want happiness and joy brought back to you, that's what you must first radiate into the Universe. 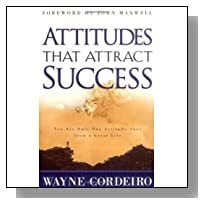 You can't radiate negativity and get back positives because the LOA works with whatever you give it to work with. 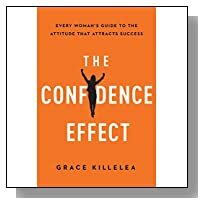 If you bolster your courage and decide that you're going to walk into a room with confidence, then you're projecting that. 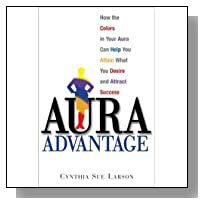 The LOA is going to bring that confidence back to you by the way that others will view you. They'll see that you're a confident person and you'll get the reputation that you're the one people can count on - which is very helpful in any job relations. 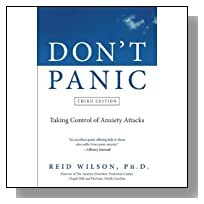 This can help you get promotions when you project an air of confidence. Your attitude about how you live your life makes all the difference in the world. When you wake up in the morning, how you feel will determine how that day goes as well as how your life goes. For example, if you wake up in the morning feeling empowered like you can get done what needs to be done and you're determined that success is going to be yours, then it will be. But on the other hand, if you wake up in a funk and you feel down, like there's no point in you even trying because you just can't win, or you just can't get ahead, then that's exactly how your day will go. That's exactly how your life will be. The reason for this is because the LOA is not a genie in a bottle. You don't get to simply wish yourself the kind of life you'd like to have. And this is where so many people miss the truth behind the LOA. They think they can command or just wish the life they want into existence. But that takes away from your part. You see, the LOA reacts to how you live your life. If you live in a state of kindness, you get back kind people in response. If you live in a selfish way, always looking out for number one, never wanting to help other people, then that's what you get back. You attract to yourself the kind of life that you're living. If you live joyfully, you get joy. If you give freely, you get from others freely. 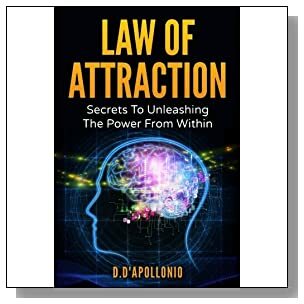 It's just the way the LOA works. 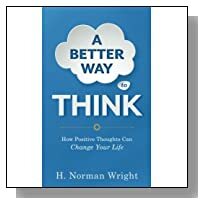 So to think that something doesn't work when you're sabotaging it with how you live will keep you trapped in that same cycle and you won't ever make changes until you break free from that way of thinking. Who Do You Blame for Your Current Situation? The world is full of people who blame everyone under the sun for their lot in life. It's always someone else's fault. From the time they were a child, they never had a chance. Their parents messed up. Or their teachers did. Or it was their boyfriend or girlfriend or husband or wife. If it hadn't been for those people causing their life to get so messed up, then their current life would be just fine. Blaming someone else has been going on since the beginning of time. That's because it's easier to blame someone else than it is to take a long, hard look in the mirror and accept responsibility for the way things are going. The sad part is that until you do take responsibility, nothing is going to change. There are several areas in life where it's common to push the blame for your own actions off onto someone else. You'll see this a lot in dating, romantic relationships, marriages - whenever there are emotions involved, the situation is ripe for the blame game. Whenever something goes wrong, someone inevitably blames the other person. When you don't get your emotional needs met in a relationship, it can turn into the blame game then as well. An example of the blame game in a relationship is when one partner doesn't get the job he or she wanted. So he or she blames the other person by saying they weren't supportive when he or she wanted to go back to school and earn a degree that might have helped them land that position. Instead of looking at reasons why they weren't hired, they just look to cast blame off of themselves. Sometimes in a relationship, if there's strain or tension, instead of looking at how you might have caused or added to that strain, you place all the blame solely on that person. For example, a partner might say that his or her intimate life suffered neglect because the other person worked too many hours. 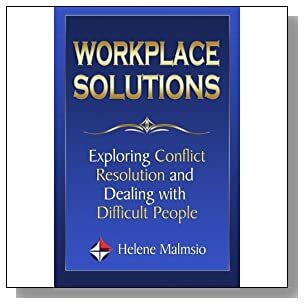 Instead of looking for a solution to the problem such as "How can I work with that schedule to give us the time we both need?" they simply write it off as not their fault and move on. This could be a reason why you're having trouble in relationships if that is the case. You have to be willing to accept the responsibility for your part in whatever goes on between you and your partner. You might have to deal with things like a partner disliking your friends or family. But look at what you might have done to cause that dislike. Did you allow your friends or family to treat your partner disrespectfully? Talk about him or her behind their backs? Rather than looking to place blame, look for ways you can help change the negative in the relationship into a positive. Another area where people do a lot of blame placing is with their job. They procrastinate and miss a deadline, then blame their colleagues or their boss. Or they don't get the materials that they need to do a job in on time to meet a project deadline, so they blame the people who were supposed to get the materials to them. Part of the blame game with a job also has to do with promotions. Whenever you don't get a promotion that you thought you deserved, it can be easy to turn around and blame a colleague or a boss. It can be easy to blame anything other than accepting the possibility that your own actions caused you trouble at work. 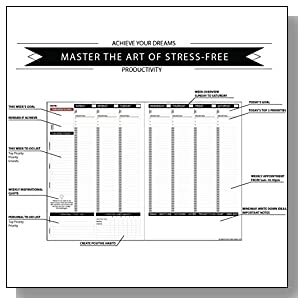 Scheduling ahead can help keep you from missing deadlines. Making sure that you have all of the materials gathered long before a project is due can help keep you on target. And looking at the reasons why someone else got promoted rather than you can help you avoid the blame game at work. When we get disappointed because we don't get a hope or expectation met, it can be too easy to look outwardly rather than inwardly. Plus, sometimes things happen just because that's the way it's supposed to be and it's not your time yet. But placing blame never helps anyone - least of all you. 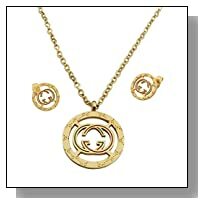 In fact, it can work against you by allowing you to release negative energy that will come back to you. Cleaning the house is another avenue where the blame game exists. The house doesn't get clean because someone else makes a mess. Or it gets messy because the dog ran through the house with muddy paws right after you cleaned the carpet. 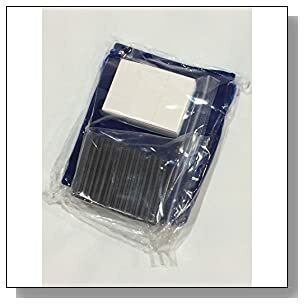 You couldn't clean those muddy footprints because you don't have any shampoo left in the carpet shampoo machine because someone else used it all and didn't replace it. You can't vacuum because someone else sucked something up into it, burned out the belt and it hasn't been fixed yet. You've had too much to do at work. Your kids have had too many outside activities. There was a great movie on last night and you got caught up in watching that instead of cleaning like the house needed it. If only someone hadn't left the television on. Or if only your family member or friend hadn't called you on the phone wanting to talk, you would have gotten the house clean. Maybe you don't have the equipment that you need because your vacuum cleaner broke and it's not fixed yet. Or you don't have any cleaning solution because the store was all sold out of the kind that you use. The house is messy because it's not all your fault. You just can't keep up. While this could all be true, it's still part of the blame game. We all do exactly what we want to do. We will make the time for what we enjoy or what we must do in order to survive. What falls low on our priority list is easier to blame others for. Maybe you can't ever find the time to relax because you're too busy working or taking care of the house. Or perhaps you have too many family responsibilities. You're running children to and from activities or taking care of elderly parents. You might be having health problems or financial problems and you don't ever feel that it's your fault. It's always someone else's fault that you find yourself in the position that you're in. 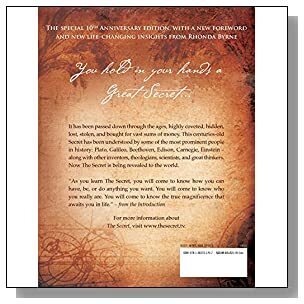 If you want the LOA to work for you, then you have to stop pointing fingers. If your relationships aren't working, don't point at your partner or your family members or your friends. 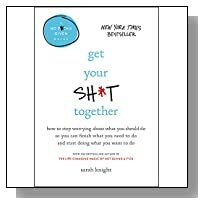 When your job isn't going well, don't look to your colleagues, suppliers or boss to blame. 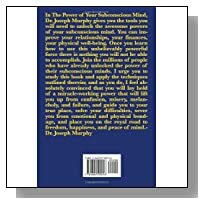 The times the house is a wreck, your health is bad and your finances are a mess, take a hard look at how you're contributing to letting these issues be a part of your life. 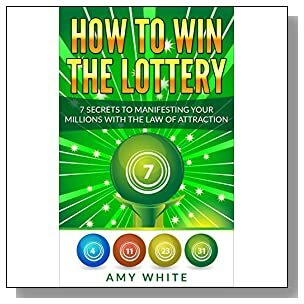 While the Law of Attraction does help to attract good things to your life, you have to take personal responsibility for the things that are off-kilter right now. For the relationships, figure out what it is that you're doing wrong. Stop blaming someone else if you're miserable in a relationship. No one can make you unhappy without your permission. No one else has the power to upset you or as many people seem to think to "ruin" your life. That's power you give them by not accepting personal responsibility. What you have to do with relationships is to figure out what's going wrong. What's upsetting you? Next, you look for the solution. If there is no solution that you can see, you can either reach out to a third party for advice or help or put the brakes on that relationship. At work, plan ahead so that the blame game stops. Put the responsibility for getting your work done squarely on your shoulders and have a backup plan for when someone else's issue can affect your work. If you have trouble keeping your home neat and organized, schedule a time to clean it and don't let anything but an emergency distract you from that time. Or, you can hire a cleaning service. Even if you hire someone, you're still taking responsibility and that's a good thing. Find time to relax by adding that to your schedule the same way that you would schedule a doctor or dentist appointment. You're making an appointment with yourself. Take that time to go to the movies, go for a walk, or sit quietly and listen to your favorite music, but make the time to relax because it helps reduce stress. Relaxed people also find it easier to attract relaxation to their lives. If your health is suffering and it's because of some lifestyle habits you have that aren't conducive toward good health, then quit them. Make small changes to your diet, exercise, and get involved in activities that promote good health. 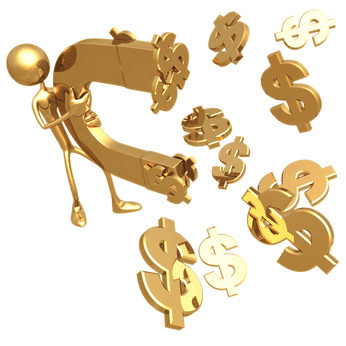 Problems with finances can cause us to be more negative than positive. If you're struggling on this end, there's one of two ways to fix it. You must either earn more or spend less. 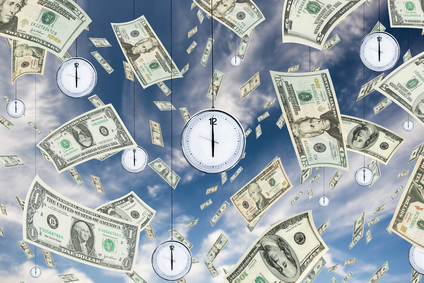 If you're tapped out because you've lived above your means for too long, then you need to stop spending, take on a part time job along with the one you have and work to pay off your bills. 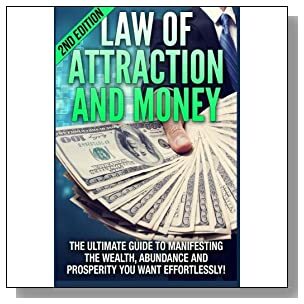 While the LOA will attract financial wealth to you, it doesn't just work because you want it to. It works because you're the driving force behind it. 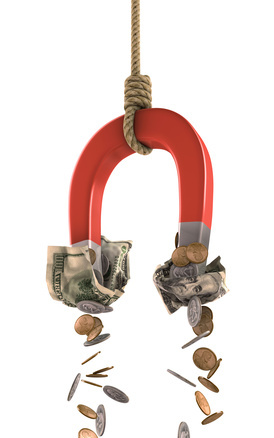 Hard work pays off by attracting more opportunities to earn the money you need to make. Realizing that you've been placing blame is a step in the right direction because this realization can be a doorway to changing your actions. Every area of your life is subject to change once you decide that you're to take responsibility for what's been going on. It's easy to place blame and people do it because they think it absolves them in having a hand in what happened. But what this does is steal your power and create a mentality within your mind that you're just being carried downstream, along for the ride, helpless to swim against the current and set yourself free. For every single scenario in life that causes you problems or stress, there is an answer - and that answer lies within yourself. At work, you might have to deal with a colleague that just loves to talk. 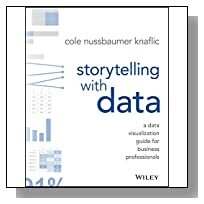 They're always hanging out at your cubicle or in your office chatting ninety miles an hour about stuff they've seen, heard, what they've bought and they're riding that gossip train until it's run dry. Because we're taught to be polite, most of us do spend the time we don't have listening to stuff we shouldn't listen to. You don't need to put the blame on that coworker who just won't be quiet and go away. 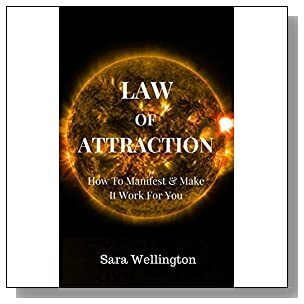 The LOA won't work for you by waving a fairy wand to make sure all of your work gets completed. 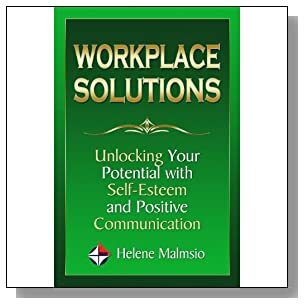 If you're wondering how you can handle a situation like a chatty coworker so that it doesn't fall back on you and you fall back on blaming them, you handle it by taking control. You don't let them drive your time. You drive it. And it's not that difficult. You can say something as simple as, "I'd love to sit and listen, but I don't have time now, so let me let you go and catch you later." Your coworker will get the hint and will leave. If your coworker doesn't get that hint, you just say, "I don't have time to talk, so I've got to start working" and then you do just that. When something goes on in your life that makes you feel the need to place blame, you should immediately stop and reassess what's going on. Look to see if it really is someone else's fault as to why something happened. Now, sometimes it is, but the majority of the time, it's not. For example, if you have trouble keeping your home neat and clean, is it really your partner's fault because he or she isn't a neat person? Or, if you pay attention, can you see that you'll take something out, use the item and then fail to put it back? Look at how you're contributing to the problem and then work on fixing that. Remember that you can't change the way that someone else acts and it's really not your responsibility anyway to change them. That doesn't mean you have to put up with certain issues like someone not picking up after themselves. If finances are an issue, you can take responsibility by taking a financial course and learning all that you can about how to manage your money. When health problems crop up, this is an area that you should address right away. Many people blame their health problems on lack of time to exercise, not enough money to afford to eat healthy, a job that's too stressful and so on. If you make excuses, it won't change anything. You can take control of your health by making time to exercise. Even if all you do is walk outside your office while eating your lunch as you walk because that's all the time you have, it'll still help your health. Eating healthy, even if you think you can't afford it is still an option. A lot of people who say they can't eat healthy don't plan ahead. 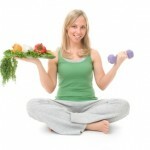 You can make healthy meals in advance and freeze them for the times when reaching for junk food is too tempting. Relationships are a big area where taking personal responsibility is a must. 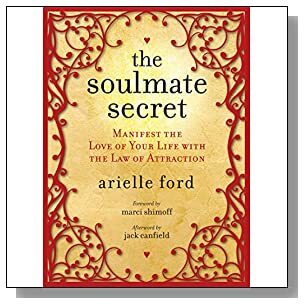 If you're someone that always seems to end up getting dumped by the person you care you about, there is a way that you can change that so you end up in relationships that are here for the long run. 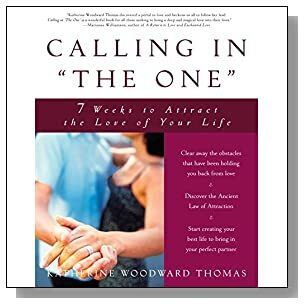 With relationships, the reason that most men and women end up in a cycle of getting dumped or having to dump a bad relationship is because they make the same choices. They follow up those choices by making the same mistakes in the relationship. Making bad decisions (such as in your choice of a partner) can lead you to being involved with someone who has issues. These issues can vary. They can be commitment issues or whatever. But the bottom line is you picked that person because you were drawn to them and then it all starts all over again on the way to getting dumped. Check to see if you're doing any of the following things: you show jealousy when your partner talks too long or laughs with someone else. At the heart of jealousy is not usually a fault with your partner. It's about you and how that deep down, maybe you don't really trust them. If you have trust issues because you've been burned in the past by someone you cared about, then you have to own that. You have to take responsibility and work out those trust issues before you go into another relationship or you're just going to end up getting dumped or dumping that person. Happiness in a relationship will always seem to elude you because you're putting the weight of having to make you happy on someone else's shoulders. It's not his or her responsibility to make you happy. It's yours and no one else is ever going to be able to fill that for you. You might even be playing the blame game with your relationships. You're always at each other's throats. Every little thing becomes a big argument until one of you walks out the door. So you blame that person for leaving you or you blame that person for pushing you out the door. A relationship, at the heart of it, is a choice. You choose to stay or you choose to leave. No one can force you to do either, so own your actions if you go that route. Look at yourself and see if you've allowed yourself to create a relationship cycle. Do you always go for high drama people? Are you drawn to needy, clingy partners? You want to make sure that you're not the reason that none of your relationships are lasting. 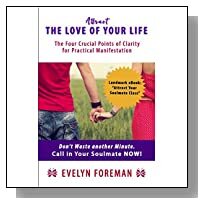 It can be difficult to face the truth that you can be the problem in a relationship, but if you want to fix the cycle of getting dumped or doing the dumping, then you have to examine the part that you're playing in this. Blaming others when things go on in your life prevents you from taking ownership of what you should take ownership for. Plenty of people do this, but it can be changed and you can own your actions. On the other hand of the blame game is pushing off the power of praise. A lot of people do this and for good reason. It's because we're taught from childhood to be humble. We're taught to look out for others. 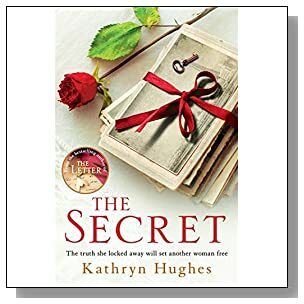 But what you might not have learned is that there is a fine line between being humble and not accepting what is rightfully yours that you deserve to accept. This area is usually found in the area of praise. An example of this is a stranger jumping off an icy bridge into a rushing river to save the life of someone he doesn't know. Later, when he's interviewed, he downplays that praise from the television reporter, from the bystanders and from the public. Usually, the person says, "I only did what anyone would have done." No, he didn't do what anyone would have done - which is why there were bystanders. The man who put his life at risk to save the life of someone else deserved to be praised for his actions. There was no guarantee that his own life would be saved. But because we're taught to be humble, people pass off praise like they don't deserve it. Just like you must own the blame for what goes on in your life, you must also own the praise. When someone says, "Oh, you look great," the standard answer is usually, "This old thing?" or "No, I don't. I look old/fat/worn out." We don't accept the praise even though the other person is being genuine. We do this in the area of work, too. 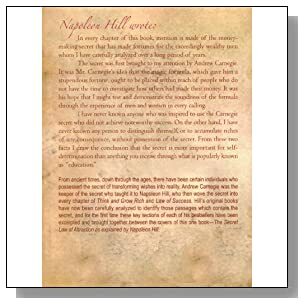 When the boss stands up and publicly comments to the office staff that a certain worker really made the project pull together, what usually happens is the worker passes the praise off. He might say something like, "No, really, it was a team effort." With so much emphasis on being humble and taking care not to be proud, we've gone to the extreme and started seeing a compliment as a bad thing. We're afraid that if we accept it, we might get a big head and start to have ego problems. Here's something to remember. The people who worry about being too proud or having ego problems aren't usually the ones that do. It's the people that never wonder about being too proud or egotistical who are. There is absolutely nothing wrong with being proud of your accomplishments. There's nothing wrong with being proud of your life, and of who you are. Too many people spend far too much time with internal dialogue that downplays their achievements. 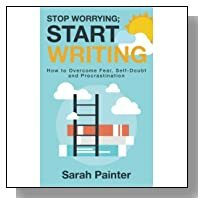 For example, if you finish a tough project at work, you might be proud of yourself only to have that internal voice say, "Anyone could have done that." No, anyone could not have done that. You have to retrain yourself to not only learn how to take the praise that belongs to you, but to learn how to stop allowing yourself to give it away by thinking you don't deserve the praise. The downside to not accepting praise is that you begin to believe that you don't deserve it. You humble yourself to the point that what you're putting out into the Universe becomes quite negative. 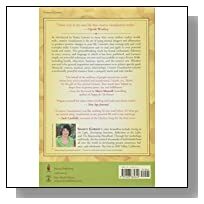 Things like, "I don't deserve this" or "I can't believe I faked my way through this" become your truth. What happens then is that you're sending out negative energy and that's exactly what's going to come back to you. So when you are praised, accept it and know that you deserved it. Don't be afraid to be proud of yourself, either. Some things in life are set in stone. You can talk, you can flail about and you can beat your head against what you want changed and it just isn't going to give. That's because there are things within your circle of control and things outside your circle of control. For example, there's a huge project coming up at work. Your boss will decide who to give it to. The final decision will be his. You can talk, you can showcase your talents and you can even come right out and ask him for it. But if his mind is made up and the choice is not you, you're not going to change his mind. The reason for that is because you don't have the power to control what other people think, say and do. It would be nice if you could, but it's not going to happen. So what you want to be careful with is that you don't waste your time fretting over and trying to change things that are outside of your circle. 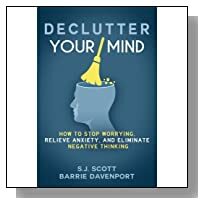 This is the fastest way to build stress and pile up negative thoughts and emotions. The boyfriend or girlfriend you have who seems a little self-centered? You're not going to change that person. You can leave out a stack of self-help books for them to read. You can suggest videos, suggest they plan romantic gestures, and even drop bold hints. But it's like they have no eyes to see and no ears to hear. A lot of spouses do this. They drop hints and they spend years trying to change the other person and decades pass without it ever happening. You can't change other people. You can only accept them for who they are and if you can't do that, then you have to distance yourself from them. This is a big thing in families because everyone has "that" relative who's a pain to be around. No amount of arguing or rehashing the same stuff every holiday is ever going to fix that person. So if you think someone else is the issue, you're going to have to learn to change your reaction to them - because they're not going to change. And if they do, consider it a gift from the Universe - but the odds are a million to one that they'll change. We make choices in life and not everyone is on board with those decisions we make. Some people don't say a word about it, while others are quite vocal. This is especially true about parents. "Why don't you get a real job? Why would you date him/her? You shouldn't marry him/her. You should buy that car. You shouldn't buy that car. You should rent. You should buy a house. You need to have children. You don't need to have children. You should diet. You're too skinny! Eat something." The list could go on because every one of us has parents who aren't happy with every decision we make. You can work yourself into a frenzy trying to please your parents. Or your spouse. Or your partner. Or your children. Or your boss. Or your colleagues. Or, you can live your life the way that you feel it should be lived. Without apologies. You can make changes according to the way that you feel those changes should be made. You should never change something or make a decision just because someone else feels this is the way you should go with your life. If it's not your decision, you're not doing it for you and you're not going to be happy in the long run. Since you can't control other people and how the react to your life, there's only one thing you can concentrate on. You can only control your actions. You can control your actions with your own life. You can control your actions that impact your job, your home, your relationships. You can also only control your own thoughts. You can't control what someone else thinks about you or your actions. A lot of people waste precious time worrying about what someone else thinks. It's not their life. You only have one life and it's a gift for you to enjoy, not them. You can also only control your reaction to someone else's actions. You can't help if someone is a jerk. That's their issue. But you can control your reaction. For example, if someone is having a high drama moment and they're yelling and hopping around with a full steam of anger powering them, you don't have to get defensive. You don't have to start snarling back at them. You can walk away because you're the one in control of your own actions. 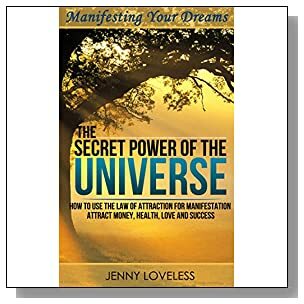 The Law of Attraction is an incredible tool that can help you morph into the person you want to be, living the kind of life you want to live. But you have to understand your part in the mystical equation and accept personal responsibility for how you make your dreams come true. 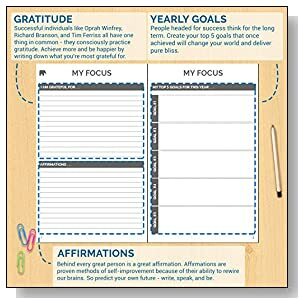 Using Personal Journals and Gratitude Journals works Too! 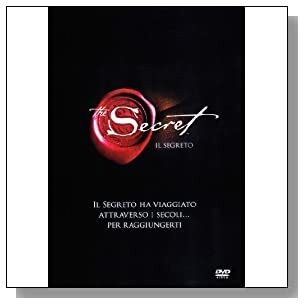 If you saw Oprah Winfrey talking about The Secret and how she uses the power of Attraction to magnetize what she wants in life, you will be inspired to follow her actions. 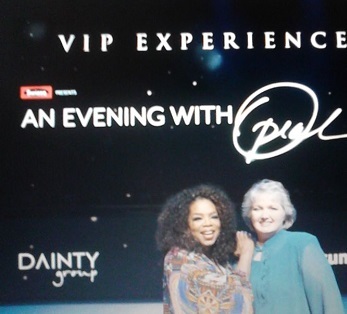 I'd like to think that using the law of attraction is one of the tools that helped me to finally get to meet Oprah in person, as you can see in this photo. THAT is the kind of desire that is wonderful to see fulfilled, and a memory that I treasure. 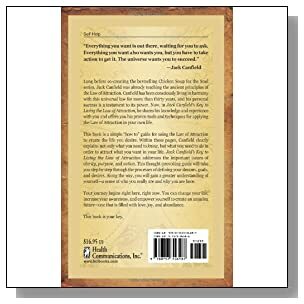 One of the tools Oprah uses to great effect is a Journal, to put her thoughts, dreams, wishes down on paper to magnetize and to also write down everything she is grateful for every day in her abundant life. 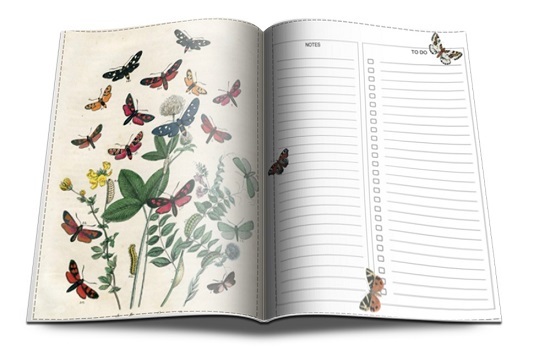 I've been a big fan of journaling for decades, and I've been designing my own for thirty years now. 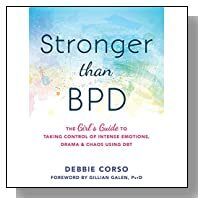 Recently I started publishing these Journals and Personal Tracker/Planners as paperbacks you can get home delivered direct from Amazon. 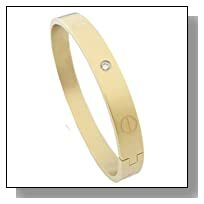 Check them out here please.... Just click on the banner to see the range available at the moment. 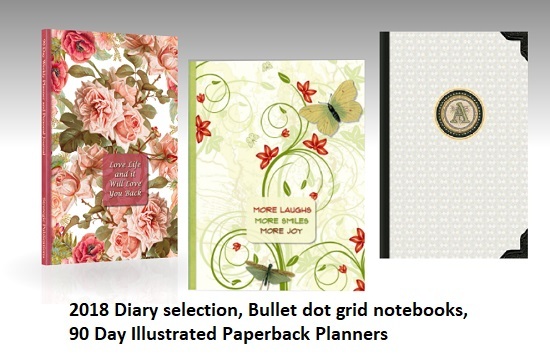 I have hundreds of designs and I'm making more every week, so you are sure to find a Journal to delight and inspire you! 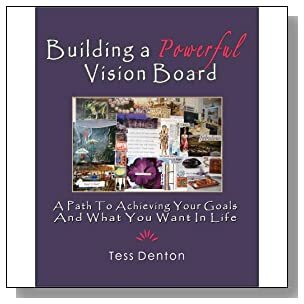 What Is a Vision Board? 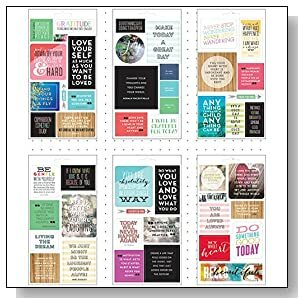 A vision board - some people refer to these boards as a map of life or a Law of Attraction collage - is a board where you put pictures, words and quotes that you've found. 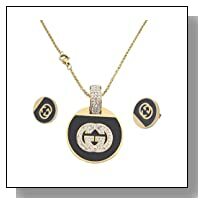 These items are a representation of what you want to have happen in your life. The purpose behind having a visual board is for you to draw to yourself the good things that you want. It's the power of LOA that makes these things come to pass. On your board, you can put up photos of what you want to do in life. For example, if you never finished college but want to, you would put up pictures and things that deal with that purpose. 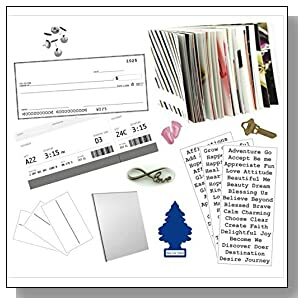 Some of these items might be the image of a college or a picture of a smiling person wearing a cap and gown. This board can be as broad as you want it to be. Everything that you want in life can go on the board, regardless of what it is. If you want a certain kind of home in a particular neighborhood, go ahead and put a photo or image of that home up on your board. 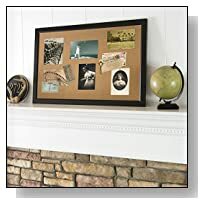 If you currently live in one state but long to move to another, you can put up photos or words that depict the state that you want to move to. 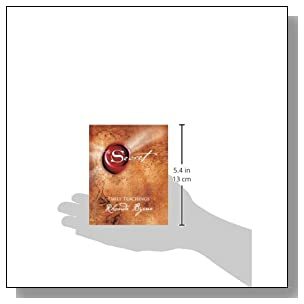 It doesn't even have to be something huge. If you'd like a particular purse or designer shoes, there's nothing wrong with putting those up on your board either. 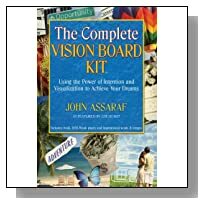 Your vision board is unique to your life desires. If you'd like to go somewhere on vacation because you've always wanted to go there but could never afford it or could never get time off from work to go, then you should put that up. 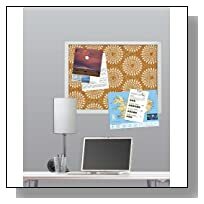 These can be photos and pieces of travel brochures or tourist maps from that vacation spot for your vision board. 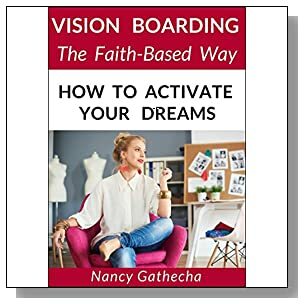 By creating a vision board, this does not mean that there's a mythical fairy godmother waiting in the wings to make all of this stuff that you want to happen occur. 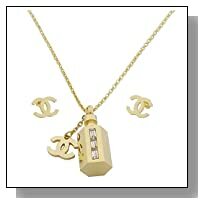 These visuals give a concrete projection to your desires and that enables you to subconsciously go that direction. 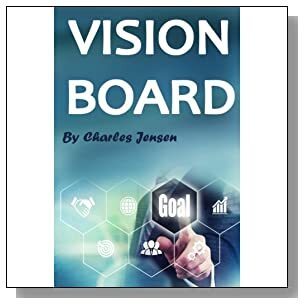 While visions boards all usually cover specific areas of life, the boards can be one of several different types. 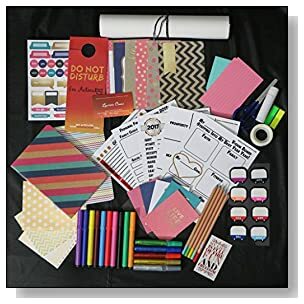 You can make the vision board as unique as you are. 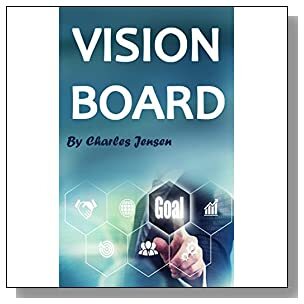 One type of vision board that's popular is the goal vision board. This one is for people who know exactly what they want in life. This is for people who don't want to "graduate college" but specifically want to "graduate college with a teaching degree in Science." These boards are not as open as other boards because they're not open to things that steer you away from your goal. When you're doing a goal specific board, you'll want to choose visuals that reflect these exact goals. 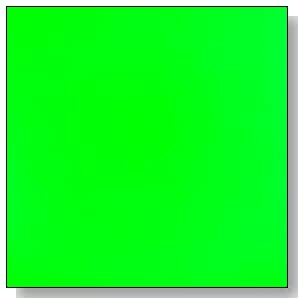 This board is for people who struggle to specifically identify what they want to attract to their life. They're seeking something, but they can't really name what it they're seeking. For example, they're seeking happiness, but they don't know what it would take to make them happy. 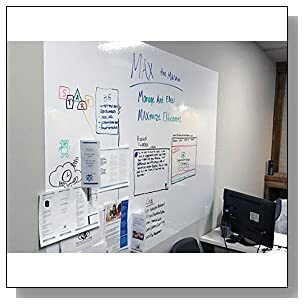 These kinds of boards can be fantastic image tools because they can lead the person who doesn't know what they truly want to attract to discover what it is. 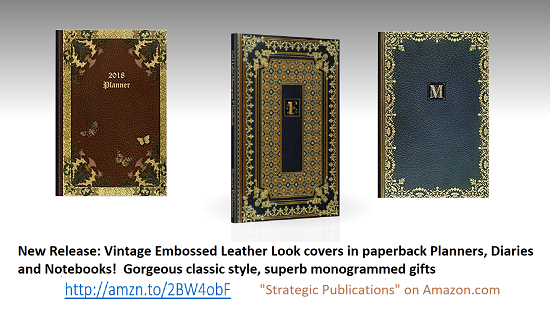 To create these boards, you simply look for the images and words that speak to you. It doesn't matter what it is. For some people, discovering this kind of board has led to making career changes or making a move that brought them profound joy after they realized their images were leading them in a certain direction. 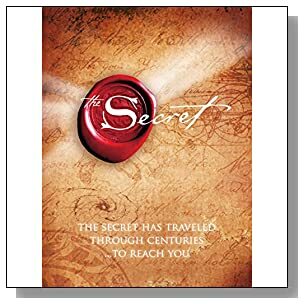 These boards are for people who desire to use the Law of Attraction with a particular area of their life. For example, if they've had a string of bad relationships they can choose to create a relationship board. For this board, they would use images depicting the kind of relationship they wanted to be in and the aspects of that relationship. 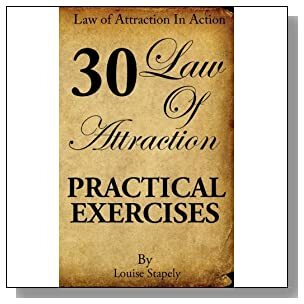 These boards are good to use for people that feel that their lives are already utilizing the LOA except in this one area. Some people have discovered that whatever area needed changing usually held some level of negative energy. 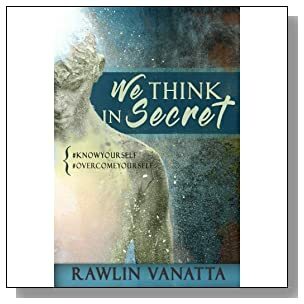 Once they created the board, they were able to see what they'd been attracting and how creating the board led to getting what they wanted instead. 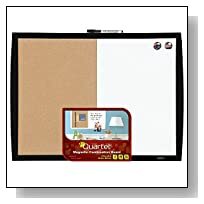 The first item that you'll have to get in order to create the vision board is poster board. 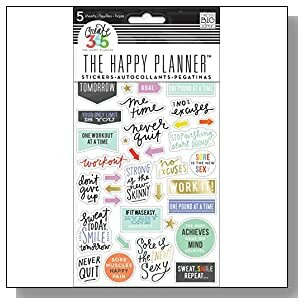 You can find this at stores such as Target or Walmart usually in the stationery or the school aisle. 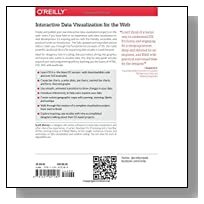 Some people use the tri-fold presentation type boards. Whatever you get, just make sure that the board is durable. After you get the board, you need a list of what you want to attract in life. These wants should be a list of everything that you imagine for yourself in the areas that affect you. 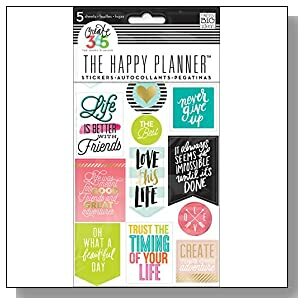 For example, you could have a list dealing with your job or career, your education, your finances and your health. 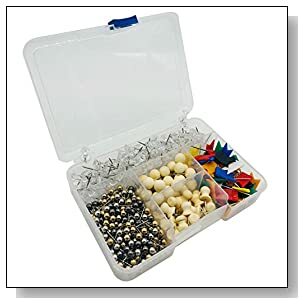 Depending on how many areas you want to include on your board, you may need to use an extra large one - or some people use more than one board and each board is divided by category. 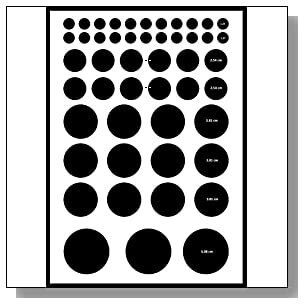 What some people do is take a large square board and they cut it into a big circle. Then they divide that circle like you would the slices of a pizza. Each slice represents an area of life. 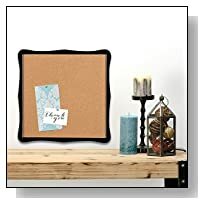 In the center of the board is a circle that holds either a photo of the person creating the board or an image or phrase that's particularly meaningful. 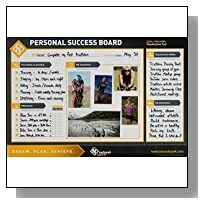 Once you have the board, you'll need to start gathering your images and any quotes or words relating to your goals that you want for the board. One good way to find images is through the use of magazines. If you don't have a wide variety of magazines at home already, you don't want to make the mistake of rushing out to buy a big selection of them because it can be too expensive to buy them individually. Some magazines now cost almost five dollars per monthly edition. So you're doing to want to find some free or cheap ones to use for the board. Many libraries offer free magazines because patrons donate magazines. 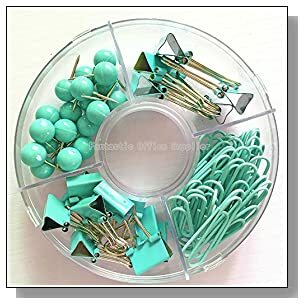 The library usually gives these away. 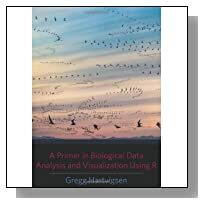 The ones that don't give them away will often offer them at very little cost from five to ten cents per copy. You can also get slightly out of date magazines from doctor's offices or other places just by asking. Some schools and colleges pitch magazines that were unused at the end of every school year so you might want to ask about getting those. Also, you can contact magazine publishers and ask for a free sample. Many of them still do that. 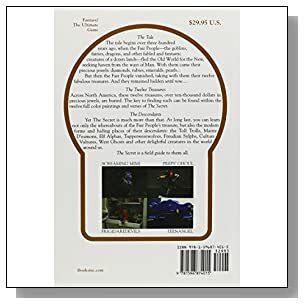 Brochures with images on them that you might like are also available from hair salons, car dealerships, real estate offices and more. 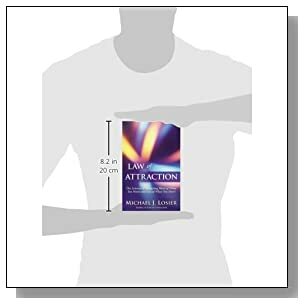 In today's world of technology though, you can also print out any image that you find that you feel suits your LOA desires. 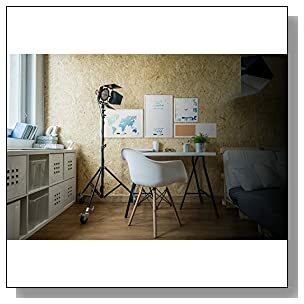 Some of the stock photo sites have great images on a variety of topics that you can buy fairly cheaply to use for your board. Or, you can just print out images you find on the Internet. While it can be tempting to start putting the board together as you gather the images, you don't want to do that. You want to completely finish gathering all of the images you need first before you start to work on the layout. You'll need scissors to use for cutting out images of magazines and other print media. 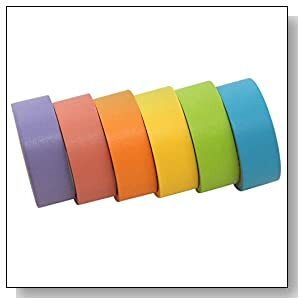 You'll also need an adhesive to make the images stick to the poster board. 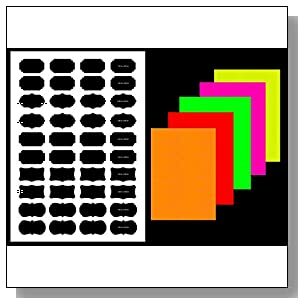 You don't want to use regular kid's school glue because this type of glue has a tendency to over-saturate the images. Even if you're careful to use only a little bit, the glue can still make the images take on a wrinkled appearance. 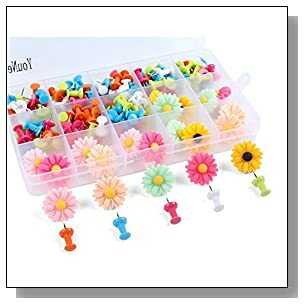 Instead of school glue, you can use either photo adhesive, dots or squares carried in the craft or photography section of many retail stores. 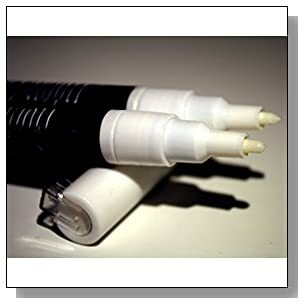 Some people use glue sticks or rubber cement and those will work just as well. If you're like most people, you'll find that you've collected an abundance of images and words that speak to you. To help narrow down what should go on your board, you need to follow your instincts. Put the pieces that stand out the most to you on your board. You'll want to group the like themes together. For example, put things related to job or career in one area of the board. If you want to return to college and that move could help you with your job or career, then you could both of these topics in the same area. Don't worry about trying to make the board look perfect or polished or like a work of art. Once you've selected the images and things that you feel belong on your board, you're going to want to create a pre-layout. 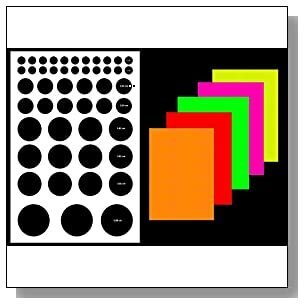 This means you should put the images and words on your board as you would want to attract them. Whatever is the most important to you should go in the very center of your board. Seeing the images creates within you positive emotions, which in turn helps you send out positive energy into the universe. 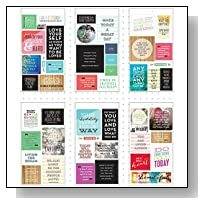 Once you have the images that you want placed around your board, you'll want to put any quotes, phrases or words on there, too. Some people use simple one-word descriptions of what they want to attract to themselves such as "joy" or "happiness" or "abundance." Others use phrases or full sentences. Like if you want to attract health (and losing weight is part of that health), then you want to address this in a positive manner. Too many people bring negativity when they treat the weight loss part of their health with unkind words such as "fat" or even "unhealthy." Those have a negative connotation. Instead, you need to choose words like "get fit" or "be active" as your vision words. Some people choose to put photos of themselves on the board as a reminder of their inner happiness. Having an image of yourself looking happy can be a great motivator as well. When you have your board ready to put up, you want to make sure that you put it where you'll be able to see the images every day. This helps keep the positive energy flowing out into the universe. The good thing about creating a vision board is that you can choose whichever type you want to make. 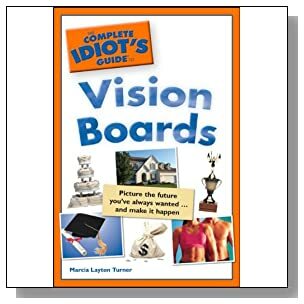 Some people use just one kind of vision board while others make their board a mixture of more than one kind. 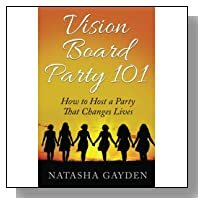 And just because you create a specific style of vision board doesn't mean that it has to stay that way. You can also allow for any changes that you want to make to the details. 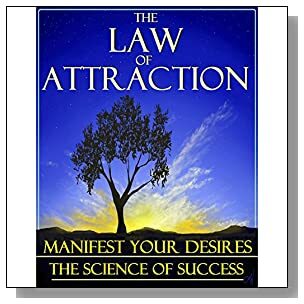 The thing that's the same through whatever kind of board you choose to make are the areas where you want the LOA to work for you. Some people call these areas themes. 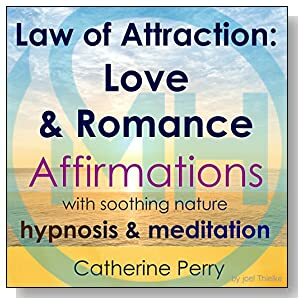 Regardless of what you call them, you should choose a label for all of the areas you want to use the LOA and then put the details inside those areas. 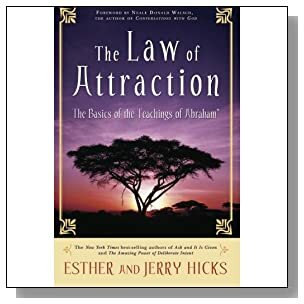 This is one of the biggest areas that people want the Law of Attraction to work for them. That's because too many people feel stuck in jobs that they hate. Or, they went to college, set off on one career path and have now discovered that it doesn't fulfill them or bring them happiness in any way. A lot of young people fall prey to what they "should" be in life. 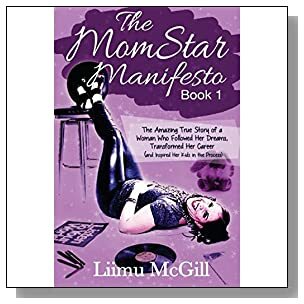 They choose a particular career field because a well-meaning parent or other mentor told them they needed to go into the field. They might have gone into it to please this person or because the field offered a high paying salary. 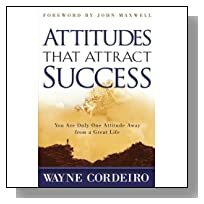 Law of Attraction can help you to figure out why you need to change your job or career. Usually, it's because you're simply not happy and you dread going to work. You might not even know what you want to do for a vocation - you just know this isn't it. 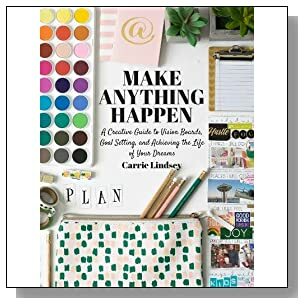 What you can do is to start looking through images to create a vision board for the area of job or career. 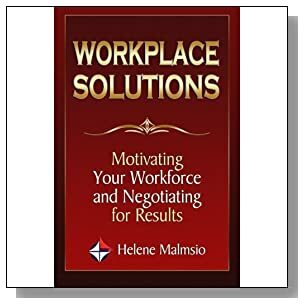 Just look through the pictures of work fields and what pulls at you is usually your intuition telling you that your subconscious desires that field of work. If it makes you happy rather than feel negative, you can bet that's a good clue. 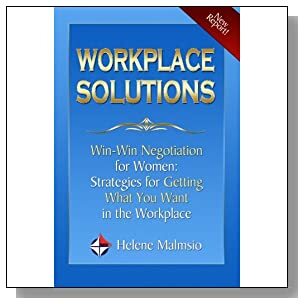 You may be in a position that prevents you from simply up and leaving your job or walking away from your career. 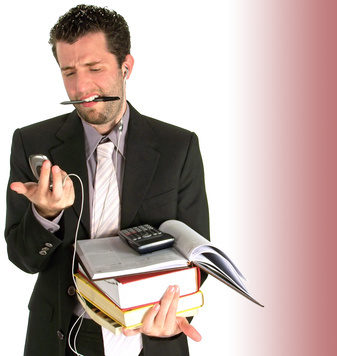 You might have financial obligations that you can't just push aside. 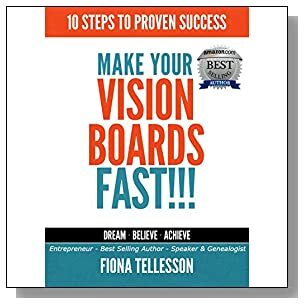 What you can do is to create your vision board. 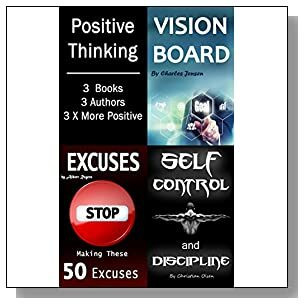 What will happen is that once you create your vision board, that positive energy is flowing out into the universe. 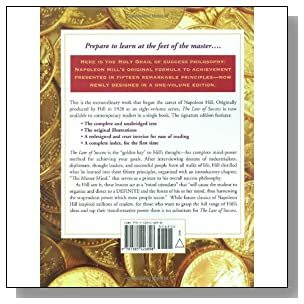 When you see visualized what it is that you want, you will unknowingly begin to chart your course for that job or career. 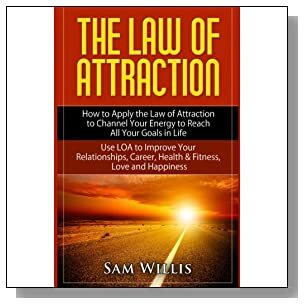 The LOA will guide you toward people or opportunities that will make what you want to happen a reality. 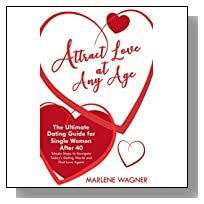 Creating a relationship area on your vision board can help you attract a relationship. 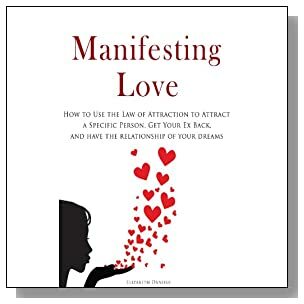 This can work for getting a new relationship into your life. Or, it can work to help you create the right kind of relationship out of the one that you already have. Too many people spend their lives looking for the right person. They inevitably end up with someone that ends up being all wrong for them. This could be that you're stuck in the cycle of spending time with the kind of person that doesn't work well with your personality type. You break off one relationship only to end up in one exactly like it. This cycle can be broken. 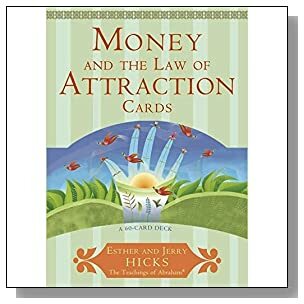 Even if all you've had in the past has been a string of bad relationships, the LOA can change that. 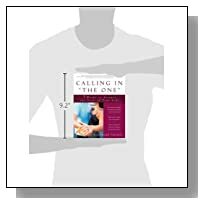 The relationship area will help you visualize what it is that you want out of your relationships. Every person in the world wants to be loved and to be in a relationship where they're appreciated and respected. This does not mean that we're supposed to be looking for what we feel is a missing piece of ourselves. That's not the way that the LOA is intended to be used. 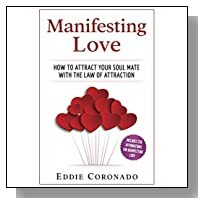 A relationship area of an LOA board means that we're looking to grow love, to attract it to us and to have one that's positive and right for us. 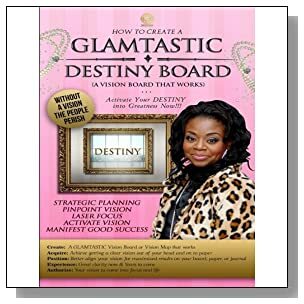 You should create a vision board for relationships if you seem to always end up with someone that's an unhealthy partner emotionally. Or create one if you've always been in relationships that created a lot of negativity. These are the kind of relationships that never work out in the long term because of that negativity. 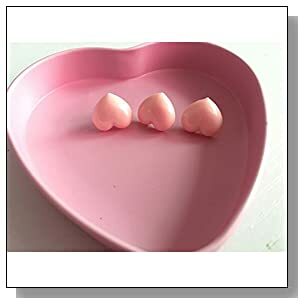 These boards are also helpful for people who are in a relationship already but the relationship seems to be standing still. You're ready to rev the relationship up a bit, but the other person just seems content to keep things the way that they are. On a relationship board, you would put what it is that you're looking for in another person. This is something usually dealing with his or her character or personality traits, but it can also focus on their physical attributes as well. 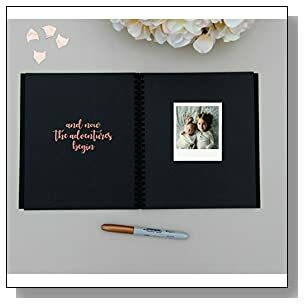 Your board can also focus on a couple together, not just the one person you're looking for, so look for images that show couples being romantic or having fun or sharing a tender moment. 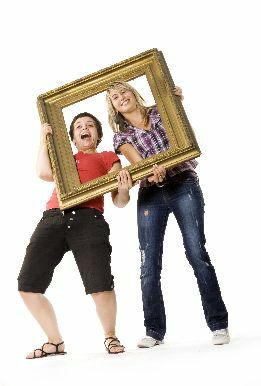 If you want someone with a great sense of humor, you would look for images and words that portray that. If you want someone who's athletic or someone who's into charitable causes, you would put that on your board. 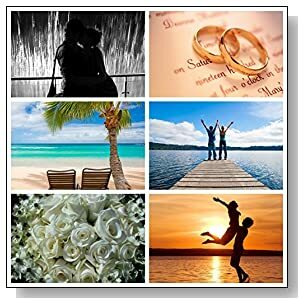 For people who don't desire to have a relationship in their life but are looking for good friends to attract to their lives, a friendship board can be used in place of a relationship board. 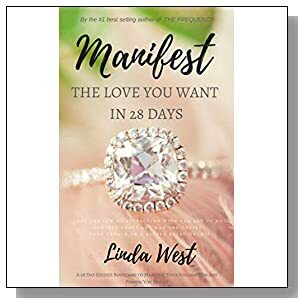 This will attract the kind of dear, life-long friends that you can count on to bring enrichment to your life. 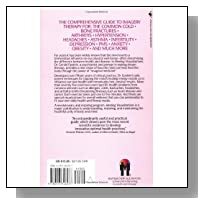 You can also create a board that helps you achieve happiness as a single person if you're trying to break free from a negative relationship. 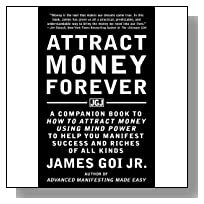 Having an abundance of wealth is something that has a lot of power to do good - not only in your own life, but in the lives of those that you'll help out of that abundance. 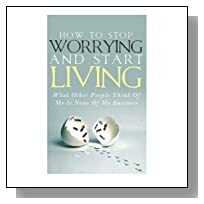 If you've felt the strain of financial stress, then you know how much negativity it can produce. 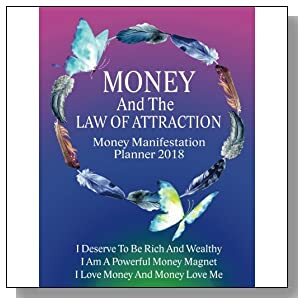 So whether you want to attract wealth for yourself or as a way to help other people, a LOA money board can help. 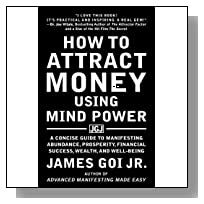 You need to shake any negative thoughts that you have when it comes to money. Look at money as a sense of freedom and generosity rather than focusing on what you don't have or what kind of debt you've racked up. 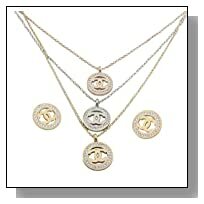 When you're ready to start gathering images, look for ones that represent what money means to you. For some people, this will be something as simple as a way to meet their basic needs of food, shelter and clothing. 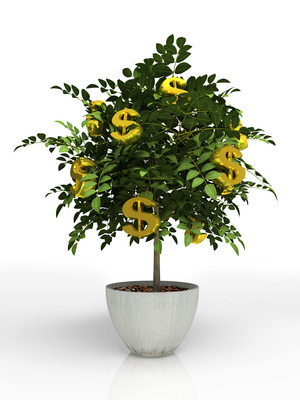 For others, money represents a better lifestyle than the one they currently have. The images you cut out or print can be ones that reflect how many can enrich your life emotionally as well as physically. 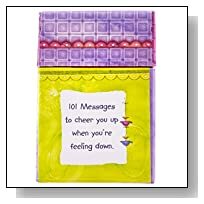 You can include images with words like joy and satisfaction or other phrases that represent a positive feeling about money. 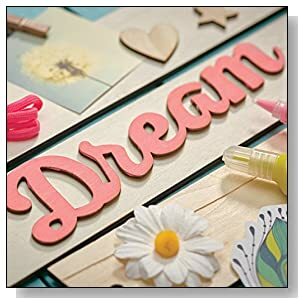 You can use quotes about money and some people take a picture of themselves holding money or something of value and put it in the center of their vision money board. 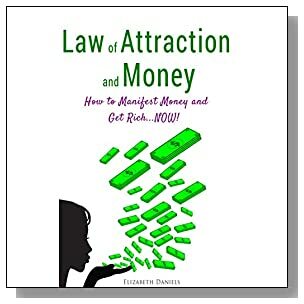 Law of Attraction and Money: How to Manifest Money and Get Rich...NOW! There are thousands of young people who want to go to college and can't afford it. There are also thousands of older people who either didn't finish college or didn't get the chance to go simply because it just never worked out with their schedule. 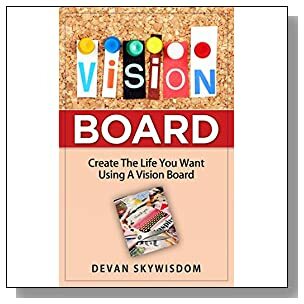 Regardless of the reason, if you want to start or finish a college education, you can attract that goal to yourself with an education vision board. 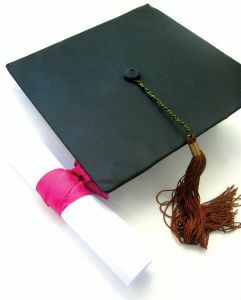 For this, you would need to have an image of the college that you'd like to attend. You can even print off an application, shrink it to size and stamp "accepted" across the front of it before you glue it to your board. Whatever classes that you want to take, you can glue images related to these classes onto your board. 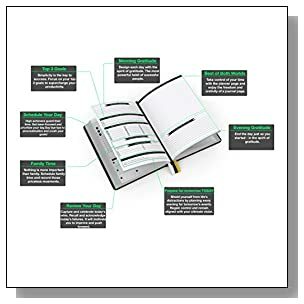 If finances are the reason that you haven't reached this goal, you can cut out pictures of money or scholarship approvals and paste those onto your board. 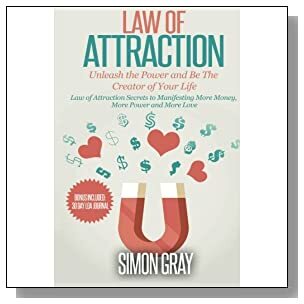 Again, the way that the Law of Attraction works is that when we see what we want most and it's clearly identified, we take steps to make those goals happen and we're often not even aware that that's what we're doing! 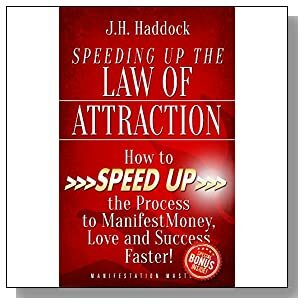 Speeding Up the Law of Attraction: How to Speed Up the Process to Manifest Money, Love and Success Faster! The Law of Attraction works for any area of your life - including health. 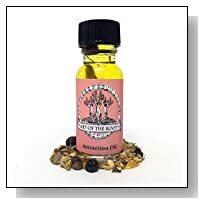 You can attract better health and you can also attract healing. It doesn't matter if what you're experiencing is a minor illness or something that's been deemed more serious. You can still attract healing. What you have to do is to let go of any negativity that you're holding onto when it comes to your condition. Don't allow your mind to think about aches and pains or to dwell on how bad that you feel. Also don't allow fear, which is negative based, to rule your mind. 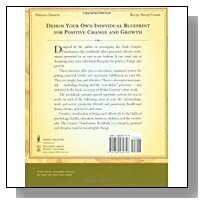 Negativity can provide a fertile breeding ground for disease. This is why stress is so bad for the body. It's the type of negativity that can open the door for you to end up on the receiving end of ill health. Your mind has a powerful influence over how your body does physically. 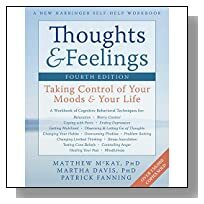 To keep ill health from flourishing within your body, you must keep your thoughts settled on things that are positive.That includes emotions, too. Focus all of your emotions on ones that will yield peace for you such as happiness and joy. Where positivity reigns, negativity will cease to exist. It may be that you've already been told that you have a serious health problem that could end your life. When this occurs, what most people do is to allow the shock of the news to overtake their thoughts. But you can't allow your mind to dwell on the negativity. You can't allow the illness to become the very center of your focus. 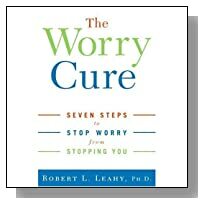 When you focus on something that you fear, what it does is keep your mind churned up, which feeds into your body. That, in turn, puts out a lot of negativity and doesn't attract good things to you. You can't always talk about or think about health issues that upset you. You also shouldn't continually dwell on ways to deal with it. 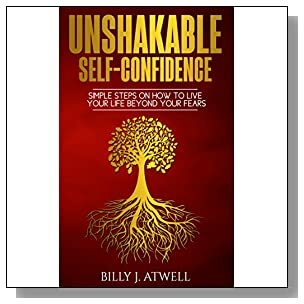 Remember that negativity thrives in a negative soil of the mind, even more so if you're allowing fear and worry about the future to take root. Pull the negative energy that you're putting out and turn it into positive energy. Focus on what you want to change about your health. Focus on what positive, good steps you need to take to feel better. 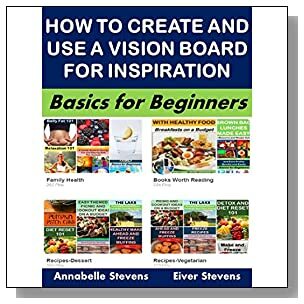 You can create a vision board for your health even if you're currently in good health because you want to keep attracting this good health to you. 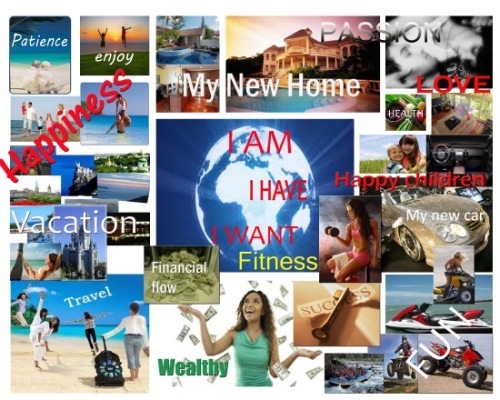 On the vision board, use images or phrases that show where you want your health to be. 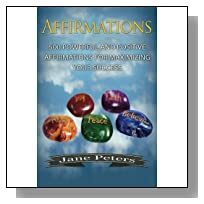 You can use positive affirmations such as "I am healthy." Just don't include words that create negativity or induce fear on your board. 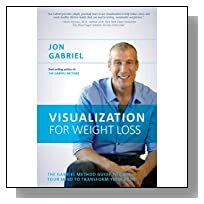 Visualize that your body has already beaten whatever health issue is going on. See yourself living a healthy and healed life. The images that you use can include images of yourself doing things like running a marathon or celebrating a milestone birthday. Just use images that represent healing to you. Some people create a health board that shows them in future activities such as going on vacation or getting married. 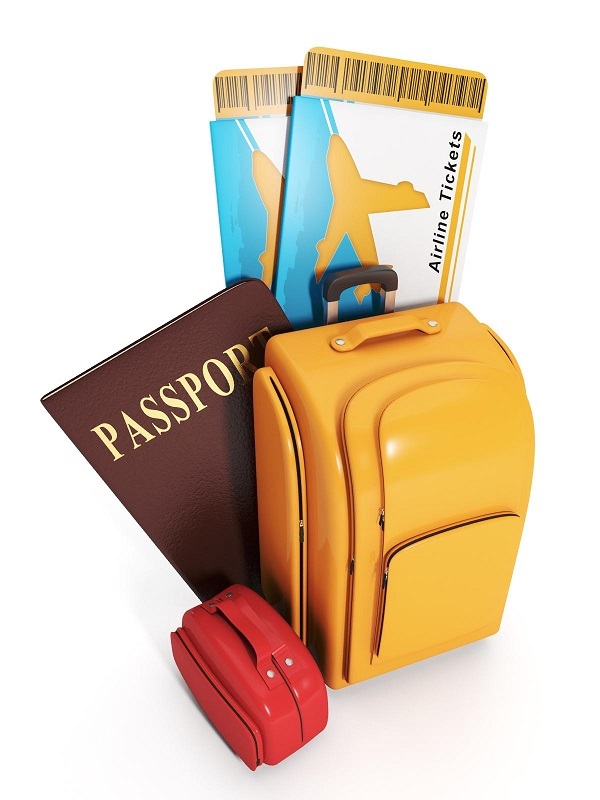 Many people want to have great vacations or adventures and travel to see the world, yet time always passes and it doesn't seem to happen for them. 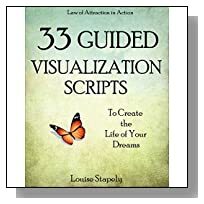 This is how a LOA vision board can help you. You can create one with an area dedicated to the kind of travel or adventures that you want to have. 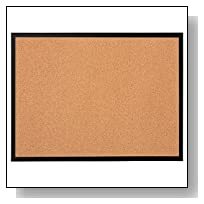 You can use photos of a beach scene or if you know a specific beach somewhere in the world that you want to visit, find images showing that beach and use that for your board. Don't worry about using a lot of images if there are a great deal of places you want to see or adventures that you want to have. Your board can be arranged as neatly as you like it or it can be arranged so that the images and words overlap each other. Many of these departments have images of travel in their scrapbook area. 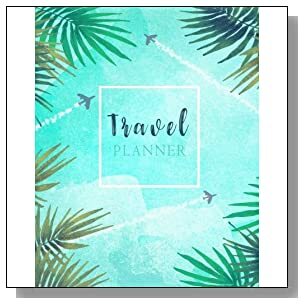 You can find words such as "travel" and "adventure" along with tags that will help identify the type of vacation or adventure you want to attract to your life. 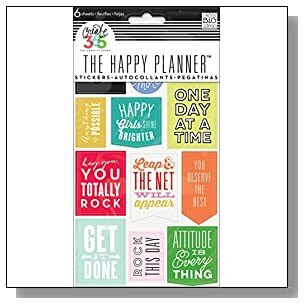 You can also use affirmations on this board such as "I am enjoying a trip to the Bahamas" or "I am backpacking through Europe." Whatever your greatest desire is for travel or adventure, find related images for those. If you'd like to go on adventures with companions, be sure and include that as well. You can take a picture of yourself and your friends and add those on top of the travel destinations to put you "in the scene" too. This can also be seen as a center of peace board. It's used to attract serenity and a deep sense that all is well between your mind, body and soul. 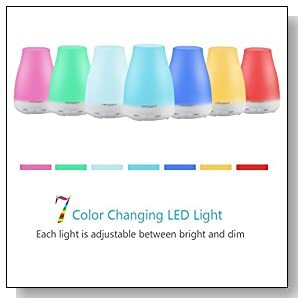 Images of light bulbs or candles or even the sun can be used to represent illumination and as a symbol of guiding your way through life. Some people use images of practices that help them connect spiritually such as yoga poses or pictures of people in meditation. Others use images of monks or photos of Buddha or images of people known for bringing spirituality and peace to the world. 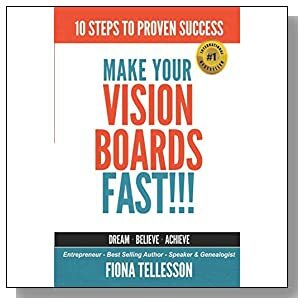 As time goes on, your vision board won't stay the same because you will have attracted what you want from certain areas of the board. 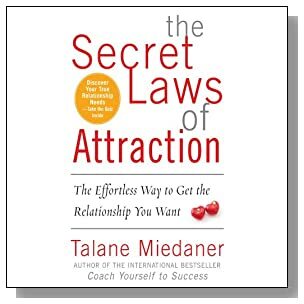 You need to remove images and sayings for goals that you've met or for those things that have been attracted to your life. 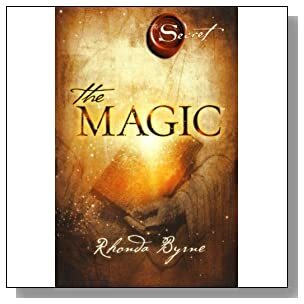 Sometimes, what you wanted to attract to your life will have changed and you've discovered that you don't actually want that any longer. So those items should also be removed. You might find that one area of your life has taken on a great significance than another so you want to make that one a priority. 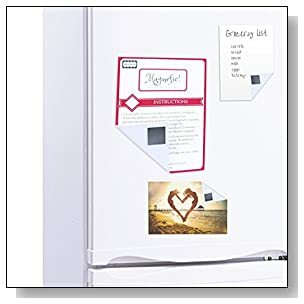 If you've used scrapbook photo squares to put down your images, you can use a sliver of wax paper and work it behind the image. The wax paper breaks the glue and frees the image from the board. If you glued down the images, you'll have to be gentle or you'll tear a hole in the board. What some people do is just paste a clean cut out piece of poster board over the entire area they want to update and they start again. 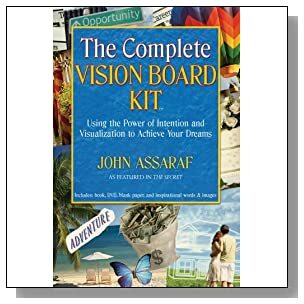 But you should also make sure that your LOA vision board stays up to date. 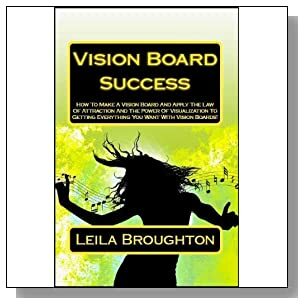 A vision board can help you to become the best version of you that you were meant to be. 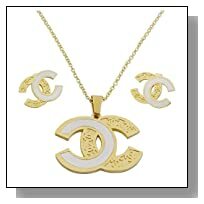 It can also help you to have the life that you desire. 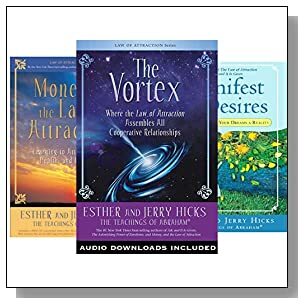 As your desires change, you need to make sure that you're attracting the new desires and not wasting energy on what's already been accomplished or what you no longer want. 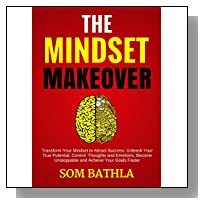 As you update and evolve your vision board for the Law of Attraction, make sure you position it where you can see it each and every day. You don't want to stick it in a closet because out of sight means out of mind. You might make a set time such as the first Saturday of every month - to revisit your vision board and see what changes need to be made. Or, get involved in it daily and look for continual changes you can make. Each time you run across something that would fit well on your vision board, add it to it. 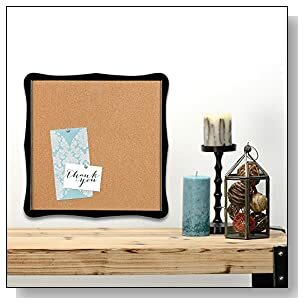 Or create a separate file to rotate items in and out of your board if you feel like yours is to cluttered and you want to keep things neat and straight. 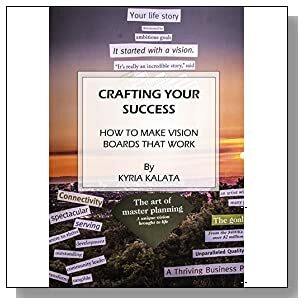 I hope that you have learned what you need to get started with using the law of attraction, and for creating your own vision board. 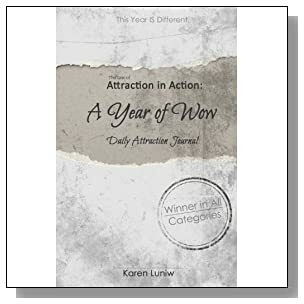 There will be new pages added to this Law of Attraction Guide section, so please come back and read the new pages as they are added, and leave your own stories too in the submission box below. 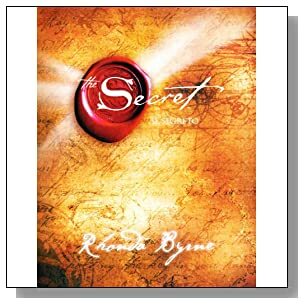 The Secret - The book that started the revival of positive thinking! 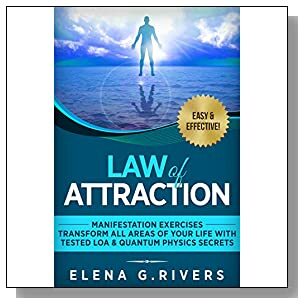 Below here I'm featuring more pages with helpful how-to-do-it tips for this Law of Attraction Guide. 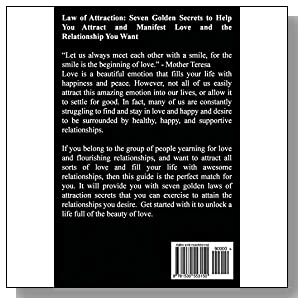 Back to HOME PAGE of this Law of Attraction Guide section of the site.